Spill Kits - Drip Trays - Spill Control - Oil Absorbents - Security Tags - Buy online at best prices. Our comprehensive range of products is available for nationwide quick delivery to help you get the job done, from drip trays to bunded spill pallets. We manufacture a extensive range of spill kits from a small spill clean up kit to full marine spill kit. Our spill kits will ensure that you have everything you need to respond quickly and clean up spills for pratically any fluid. They are available with a combination of gloves, hazardous waste bags, absorbent socks, booms, absorbent pads, and instruction sheets to help you contain and clean up a spill. Our absorbent spill kits are ideal for plants, laboratories, work stations, and construction sites. We can also supply refill parts for your current kit with absorbent pads, absorbent socks and cushions. 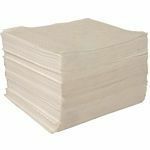 A huge selection of absorbents is available for quick delivery to help keep the workplace safe, clean and efficient with a view to pro-active maintenance. 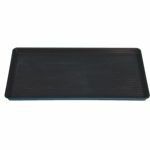 We have an extensive range of drip and spill trays in many sizes and types including bunded and gridded. We also supply a vast range of security tags and seals in many style, from container seals to plastic security seals. 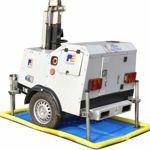 Our product range includes wipers, rags, paper products, degreasers, spill kits, and drum storage bunds providing you with a wealth of convenient solutions for cleaning, containment amd security in the workplace. Serpro has a no-nonsense approach to business: consistent supply of premium quality durable products at best prices with a professional service, time after time.